The team at Dynamic Maintenance consider themselves truly dynamic in their approach to each project they undertake and strive to meet the differing requirements of each client. “The client came to us with a 12-year-old milking plant that he wanted relocated and modernised. We managed to relocate the existing plant and retro-fitted it onto a new 50 bail Dairymaster Swiftflow Revolver Platform to cater for 350 cows. 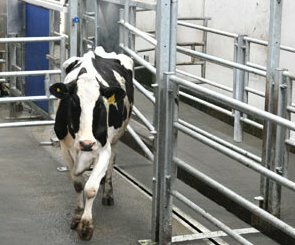 At the same time, a new automated 3-way drafting system was installed with automatic teat spray and automatic feeding capability. A complete shed washdown water supply was also custom-designed and installed. Further to that, an effluent pumping and disposal system was supplied and installed and successfully operates within half of the local government allowable application rate for effluent disposal. The project was completed within budget which was over $300K in total. 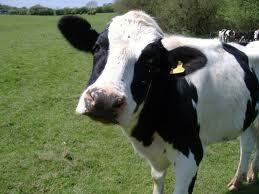 “Two seasons ago a farmer come to us with the issues of slow milking and a recurring mastitis problem. He was milking 250 cows through an older style 30-aside Herringbone parlour. Firstly, we upgraded his pulsation to Milka-ware and this had an immediate effect of reducing his milking time by an hour and also his mastitis dropped by 120,000. Six months later we installed Milka-Ware Pro 4 automatic cup removers, this dropped his mastitis a further 100,000 and made the milking parlour a one person operation. “Last year, one of our clients came to us interested in a 3-way automated drafting system. No problem..except he had very limited space for the installation! After inspecting the site and discussing with the farmer his requirements we came up with a solution. The solution involved modifying a drafting crate and his existing yard steel work to suit the shed yard and exit race. The project was completed without any interruption to milking and well within his budget of $35K.